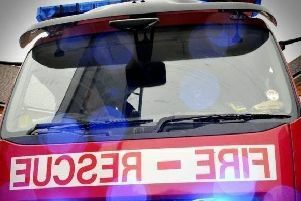 Derbyshire Fire and Rescue Service has revealed that a dog has died in the waters of Hardwick Hall Park. Firefighters from Chesterfield, Kingsway and Nottinghamshire’s Highfield Station attended the park at 12.23pm to help rescue the dog after it fell through the ice. Working alongside park rangers, firefighters used a small boat to get to the dog, that had run onto the ice and fallen through where the ice was thin. Sadly, the dog died as a result of being in the freezing cold water. Station Manager Paul Green, who attended the incident, said: “This tragic incident serves as a stark reminder to dog owners to keep their dogs safe from danger and on the lead at all times when near water.